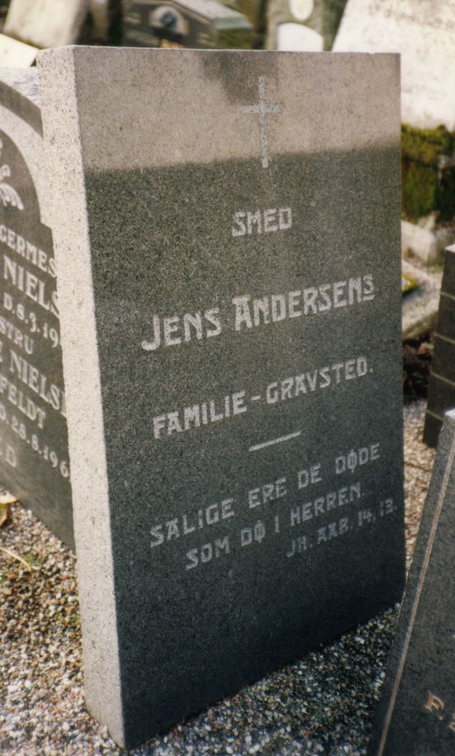 "Blacksmith Jens Andersen's family grave". "Blessed are the dead who die in the Lord from now on." Revelation 14,13. Jens Andersen * 15. June 1830 in Albjerg, Oure parish, Denmark, died 31. august 1897 in Oure, Denmark. Oure church yard, Oure, Denmark.